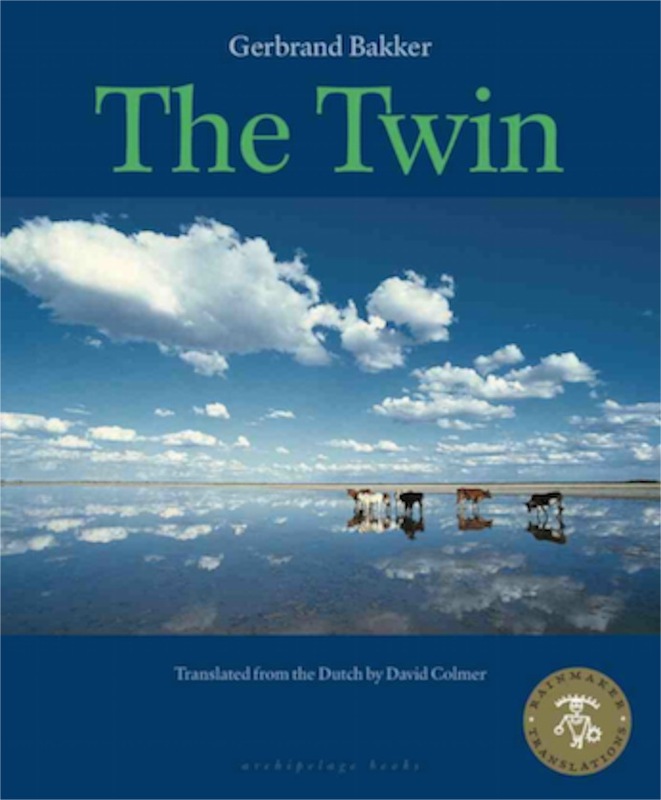 Gerbrand Bakker, The Twin, Translated front he Dutch by David Colmer (New York: Archipelago Books, 2010). Somewhere along the line I read a review of this book, and either I misunderstood the review or I didn’t remember it. The book simply was not what I expected. It is a well-written and interesting novel. It is one that I might recommend to others. But the story is just a little bit strange. The way that the main character treats his father is mean, sometimes cruel. Not that a novel has to have kind characters to be meaningful, but this character is both appealing and appalling. The story is the journey of a twin told from the perspective of his middle age. His father is nearing the end of his life. His brother was killed years ago in an accident. His mother has died. The girlfriend of his brother has returned into his life and he takes on the care of her son for a while. There are hints about his sexuality, but no overt stories. By the end of the book, the reader reaches the conclusion that is he likely gay, but that is hardly the theme of the book. Bakker is a masterful story teller and the characters haunt. I can see why it won the international Impac Dublin Literary Award. The book sticks with you long after you have finished reading. 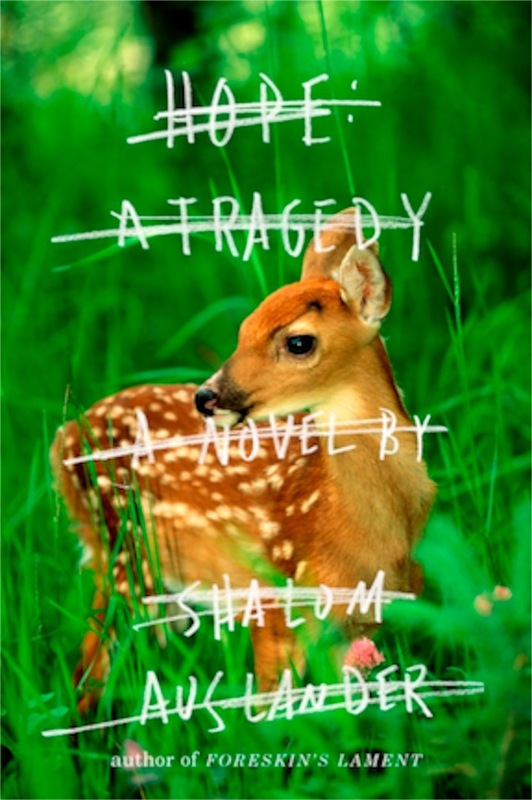 Shalom Auslander: Hope: A Tragedy (New York: Beaverhead Books, 2012). It is not uncommon to have to suspend reality in order to enjoy a novel. Auslander invites and then encourages us to accept an altered reality in order to enjoy this book, if enjoy is the right word. It is funny. But it is also, a bit absurd. A Jew who is an exaggeration of most of the stereotypes that we have heard. A wife who is tolerant, but has her breaking point. A real-estate agent that secures clients by berating them with psychological observations that, while true, are confrontative. A Psychologist who is so bluntly cold and harsh that he creates a client who is dependent upon him to assess the truth. Ann Frank still alive decades after the end of World War II. We know these things are not the way our world works, but somehow they all begin to make sense in this novel that can make you laugh and cry at the same time. Once you suspend disbelief, the story carries you on a wild and wonderful trip. The theme indicated in the title carries throughout the book. Hope can be the reason for tragedy. It can be the source of amazing cruelty. People who expect the world to change often try to make it change in ways that create enormous suffering for others. The unintended consequences of hope are often tragic. Auslander doesn’t convince anyone. But he certainly entrains us with a fun story. 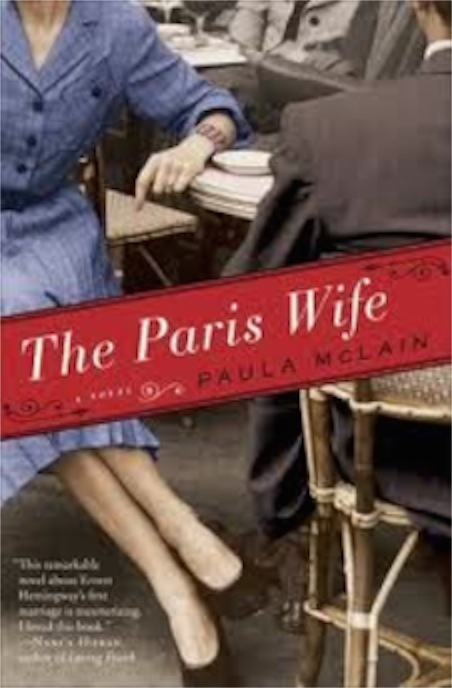 Paul McLain, The Paris Wife: A Novel (New York: Ballantine, 2011). Why would a fan of Ernest Hemingway, who has read not only lots of books by Hemingway, but also many books about Hemingway, pick up a novel that is the telling of a story that he thinks he knows well? I have read A Moveable Feast. I have read books by those close to Hemingway. I have read Hemingway’s Boat. The answer is simple. For the same reason that I read Hemingway in the first place. I really like a well-written novel. McClain, by taking Hadley’s voice, has created a masterful story about a fascinating character. The book is enjoyable and wonderfully written. I think it was Elie Wiesel who once said, “Sometimes in order to tell the truth, you have to tell a story. McLain has told us a wonderful story. We thought we already knew the story. And that is where the writing must have been tricky for McLain. She had to balance what we already know with details that only Hadley could have known, except they weren’t known by anyone - they are the product of a brilliant imagination. Hemingway fan or not, this is a book worth reading. IQ of 63 - So What! Ben D. Anderson, IQ of 63 - So What! 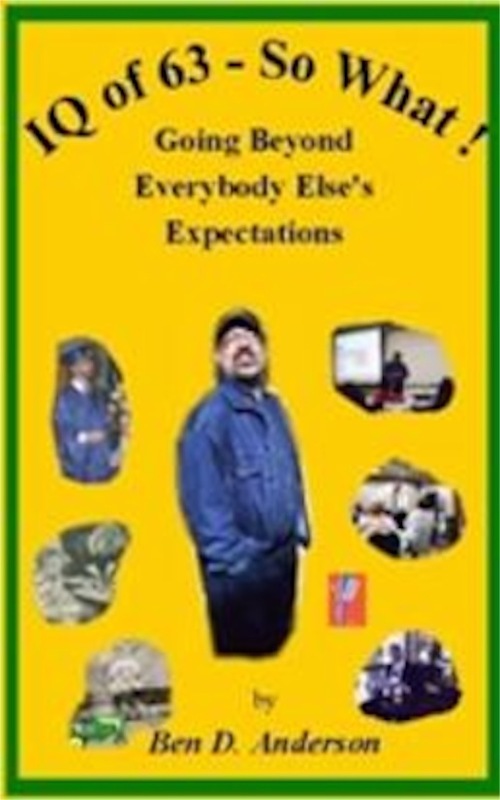 Going Beyond Everybody Else’s Expectations (St. Cloud, MN: Sentinal, 2008). Ben Anderson is an amazing person and an articulate advocate for persons with disabilities. His work through his non-profit, Break Through Inc., is very helpful in creating an atmosphere for change in the world. In this memoir, he tells his own story and invites us to take a second look at people with disabilities in our communities. Overcoming the attitudes of other people was at least as challenging, if not more so, than learning to live with Cerebral Palsy. People interpreted his challenges in learning to speak and walk as limitations of intelligence. He had to work hard to prove that he could make his own dreams come true. When I first started working for human rights with people with disabilities, I thought that perhaps I would have to speak for those who cannot speak for themselves. What I have discovered is that others do not need me to speak for them. They need me to listen carefully. Ben Anderson is a wonderful advocate for all persons with disabilities - and for those of us who are “temporarily abled” as well. Knowing that we are all just one accident or illness away from a disability, this book is an inspiring read for all. There is something impressively arrogant about a man who, while criticizing almost all other people for being too earth-centric, too human-centric, who sets out to write a book about everything. People with weak egos never write cosmologies. Sagan is a brilliant writer, but is more trained in the physical sciences than he is in his topic. Cosmology is a branch of philosophy and Sagan appears to not know much about the history of philosophy. His jabs at religion seem to indicate that he thinks that the theologies of five and six hundred years ago still dominate religious thinking. He can understand that nature evolves, that scientific knowledge grows, but seems to have trouble understanding that theological understanding also changes. There are some people of faith whose understanding of God and the nature of God gets bigger each time a new discovery about the universe - or perhaps the multiverse is made. And, Sagan is more religious than he admits. He is hopelessly romantic. How else can you explain the amount of effort he put into creating a soundtrack to travel with the Voyager spacecraft on their journey out of our solar system? He is a good writer. And he has, in his descriptions of the universe, captured some of the awe and wonder that makes it seem beautiful. 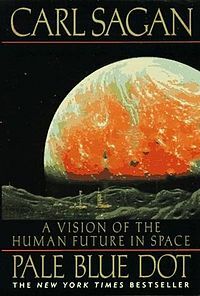 His speculations about how future generations will look upon the universe are speculative, but fun speculations. As to the necessity of settlement of other worlds, he didn’t quite make his case, I fear, but the argument is at least cogent. The book is a good read, especially for someone who enjoys philosophy. There is something genuinely amazing about a cosmology in this time of understanding how vast the cosmos really is. 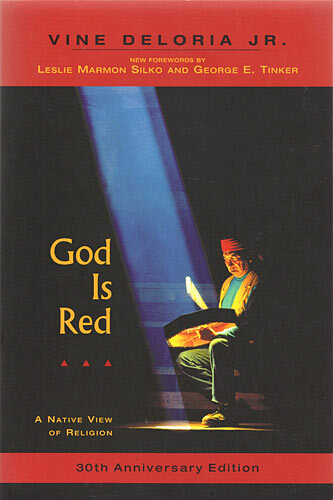 Vine Deloria Jr., God is Red: A Native View of Religion, (Golden, CO: Fulcrum Publishing, 1973; 30th Anniversary Edition, 2003). I think this may be the third time I have read this book. Each reading offers a different perspective. 1973 was the year of my marriage. It was the year of the Wounded Knee uprising. Things were different. Vine Deloria Jr. was a wonderfully brilliant man who had studied a lot of different topics. The variety of subjects with which he had a working knowledge was impressive. He also was a very good writer. Perhaps that is why so many other authors wanted Vine Deloria, Jr. to write a forward to their book. Of course the book reveals that some of the subjects about which he had some knowledge were not fully explored. He knew, but was not an expert on many topics. His characterization of Christians as being concerned with history over space and Native Americans as concerned with sacred place over time is an exaggeration and doesn’t hold up in practice. If places weren’t sacred to more than one group of people, conflict might not be as intense. His exploration of “Natural” and “Hybrid” peoples is based on pseduo-science that has been proven to be inaccurate. His anger is a bit misplaced in today’s world. Still there is much that he reveals about Christianity that is true. There are parts of our identity that are accurately assessed. And he does offer a perspective that is helpful in understanding some of the tensions that characterize the people of South Dakota today. The fresh discovery of this reading however, ended up being a disappointment. I had previously believed that Vine Deloria Jr. was an expert on Lakota Spirituality. I now realize that he is not. His book reveals very little understanding of native religion. Perhaps the paternalistic cultural and religious impositions of the missionaries took so much away from native people that Vine Deloria Jr. simply didn’t know the native ways of religion. He is a brilliant writer. Not many books merit repeated reading. This one does. 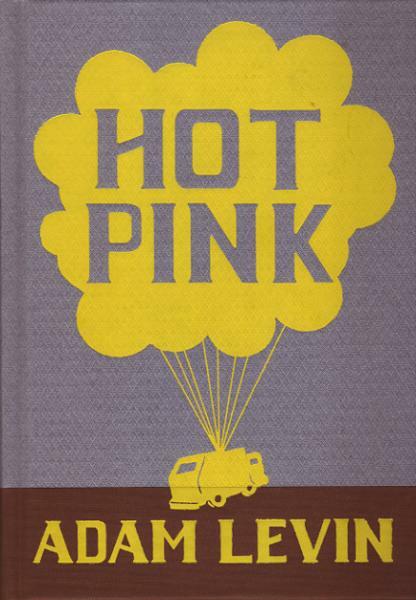 Adam Levin, Hot Pink, (San Francisco: McSweeney’s, 2011). OK, I wouldn’t have selected this book for myself. I like short stories, but I hadn’t discovered Adam Levin. I got the book because I subscribe to McSweeney’s. The stories are fun, a bit bawdy and, like most short story collections, mixed in quality. All in all, however, the stories are a lot of fun and the book is an easy read. There isn’t really a theme to the stories, but some are about coming of age, or at least discoveries of love and connection. This book is one that I will probably forget before long, but it was entertaining to read and I need a light read from time to time. I love to read, but I tend to get behind in my reports. I guess some things haven't changed since elementary school. I tend to get a stack of books that I have read and then write several reports all at once. At any rate, part of getting to know me is to know a little about what I am reading. So here are some of the books that I have been reading. My book archives from the old web site are now available on this site. If you want to see what I was reading before I migrated to this site, click here.